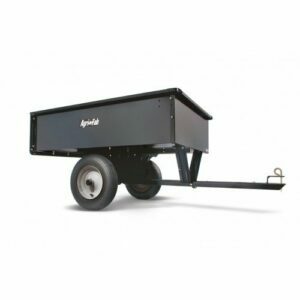 The Agri-Fab 45-0348-100 is a versatile cart that’s equipped with tough poly bed that will not rust, is easy to clean and offers an impressive 300lbs load-capacity. 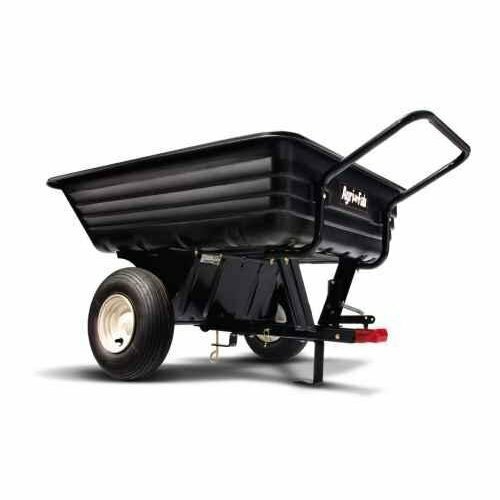 The high sides on the Agri-Fab 45-0348-100 Tow Poly Tipping Cart ensure you’ll have no problems transporting bulky items. Wide, large diameter pneumatic tyres allow smooth movement over rough ground; and a heavy-duty 5/8” axle provides robust support.